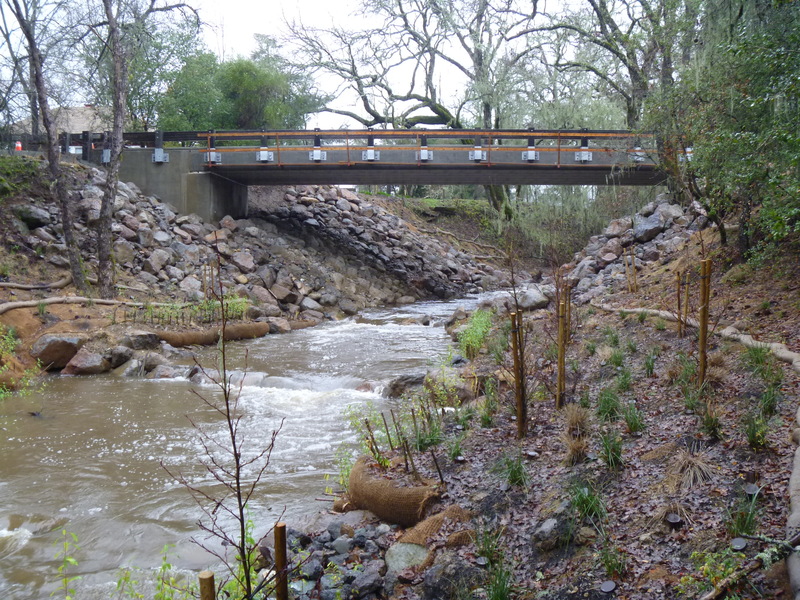 Storm-proofing road systems can have an immediate benefit to the streams and aquatic habitat as well as protect the road surface and reduce annual road maintenance costs. 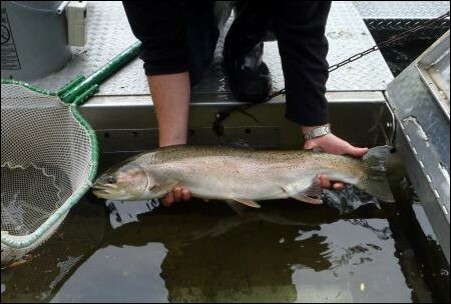 The practices recommended below help ensure that stream habitat is not impacted by human-related road erosion. 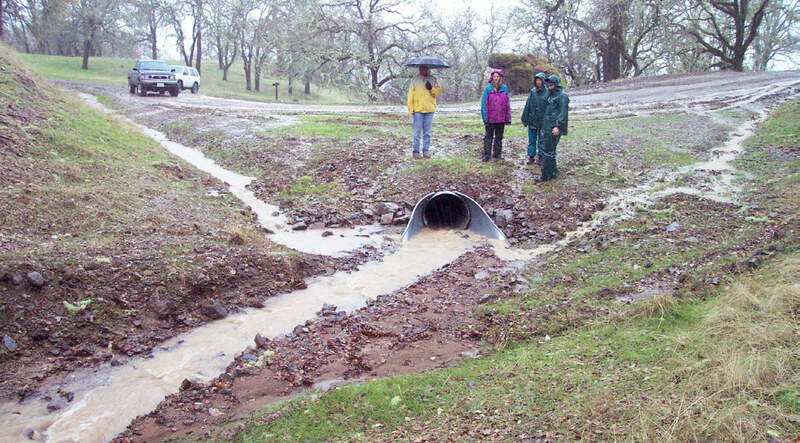 If storm-proofing treatments are implemented correctly, future storm runoff can cleanse the streams of accumulated coarse and fine sediment rather than deposit fine sediments in areas where it impairs aquatic habitat. 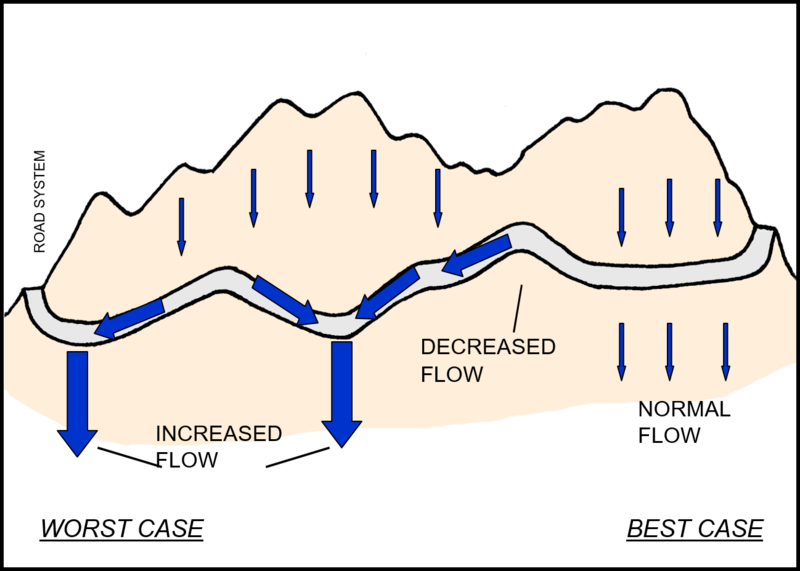 Visit this page to get more information about designing and maintaining roads in order to minimize erosion. 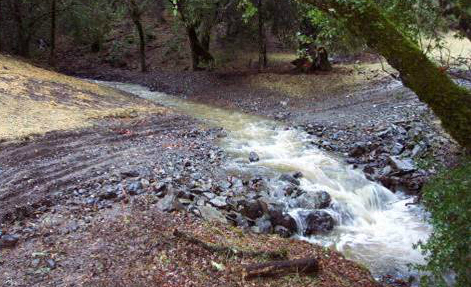 Storm-proof roads so that they are resilient to 100-year peak storm flows without negativley impacting streams. 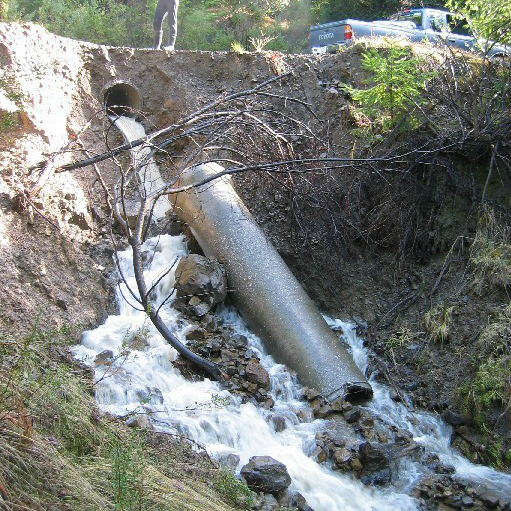 If road systems are no longer needed to manage a property, they can be decommissioned such that their impacts, are erased from the watershed. 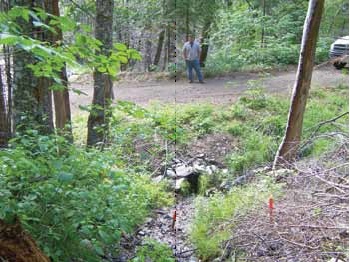 Landowners can elect for complete decommissioning, or long-term winterization of the roads, which gives them the option to re-establish roads in the future. 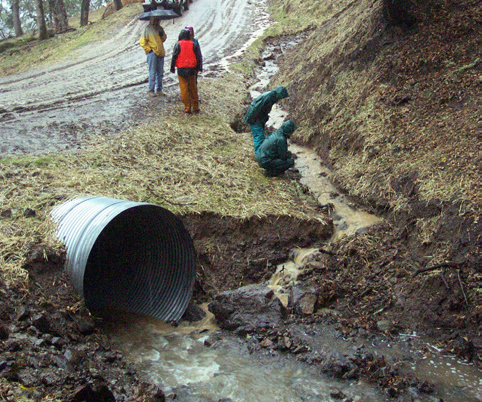 A hybrid between road upgrading and decommissioning. Video - A video (26 mins.) 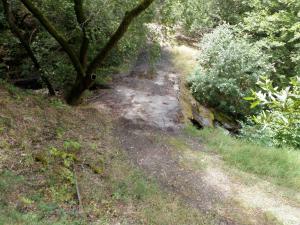 about roads and how they influence the watershed. 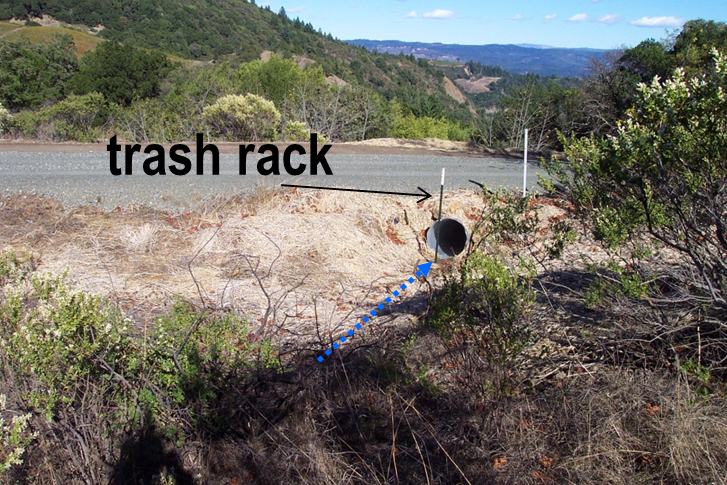 Handbook for Forest and Ranch Roads - Mendocino County RCD, Handbook for Forest and Ranch Roads. Available in English and Spanish. 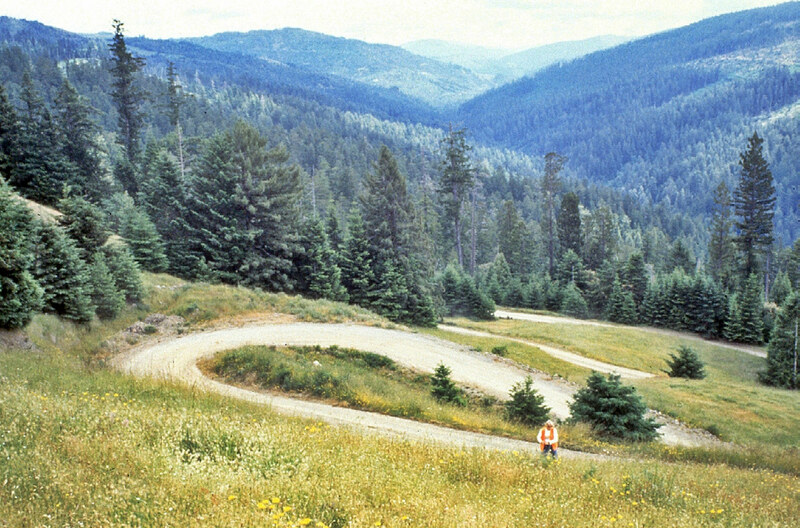 Handbook for Forest and Ranch Roads - Mendocino County RCD, Handbook for Forest and Ranch Roads. 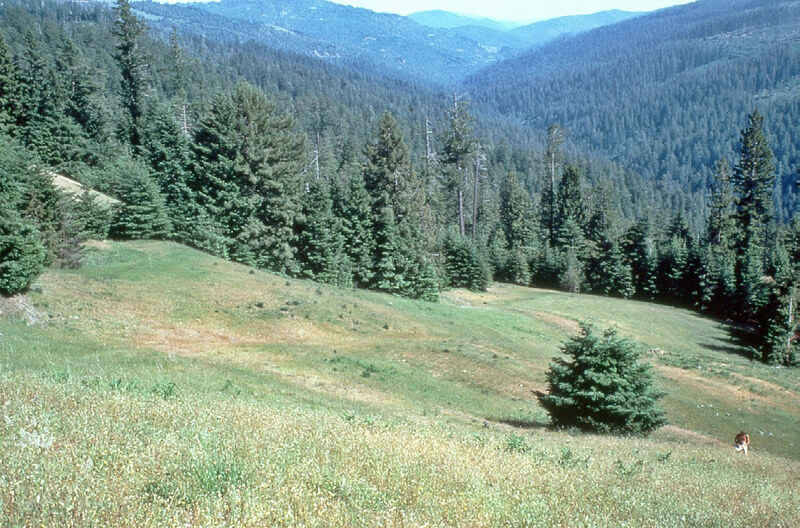 Seen as BMPs by RWQCB, CDFW, CalFire, and USDA NRCS. Available in English and Spanish. 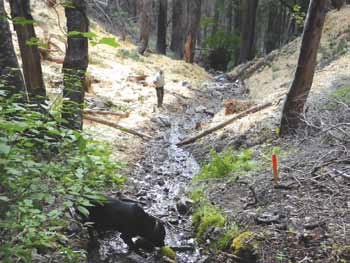 roads, and roads that minimize adverse environmental impacts and protect water quality.